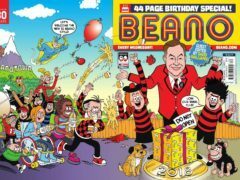 The Beano’s much-loved troublemaker Dennis has changed his iconic striped jumper in support of a children’s charity. An Angus farmer has installed a menacing addition to one of her fields. Freddie Fox has landed a new TV role, as the Beano comic’s chief mischief-maker Dennis.